Blizzard recently launched a charity event for the Breast Cancer Research Foundation. In this event, you can purchase a special Pink Mercy skin for Overwatch which looks really cool. 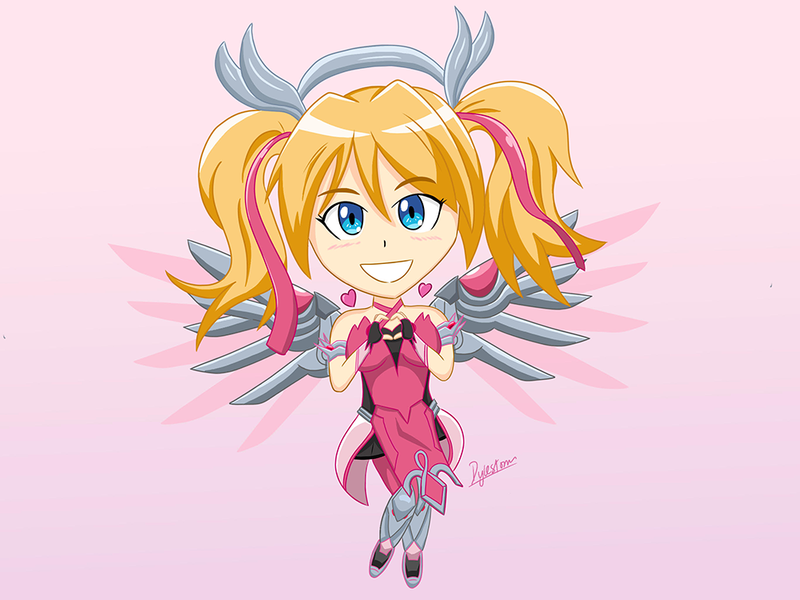 In support for this event, I drew a chibi Pink Mercy as a fanart.